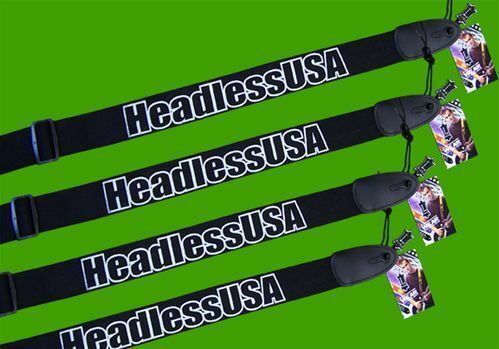 HeadlessUSA is now carrying our own straps, custom made for us in North America. The style and design is "borrowed" from a (now defunct) company called Earth III that made this style strap in the 1980's for a famous headless builder. These are manufactured for us with a two inch wide cotton weave and real leather ends. Classic black with our famous logo in bold white printing. A strap you can love.